At the 2014 Hannover Fair, Deutschmann Automation will showcase its comprehensive program of EtherCAT gateways at the joined booth of the EtherCAT Technology Group (Hall 9, Stand D18). 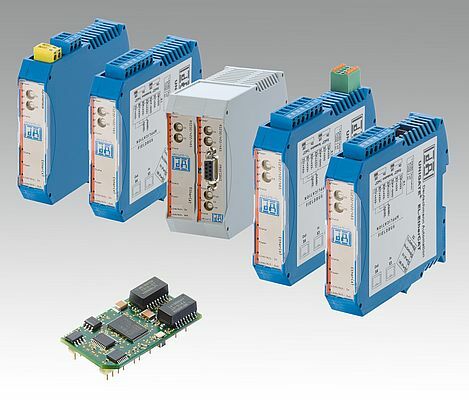 The UNIGATE lines provide suitable gateway solutions for any application: equipping new devices with EtherCAT interfaces ex factory; integrating existing devices into EtherCAT networks; connecting incompatible networks with EtherCAT networks; or integrating individual AS-i or CANopen devices that need to be assigned to a master. In addition to the established UNIGATE IC, CL, CX, and AS-i lines, the company will present the latest addition to its large gateway program, UNIGATE EL and UNIGATE CM EtherCAT gateways for Ethernet and CAN/CANopen.